NASA has selected four astronauts who will train to fly Commercial Crew flight tests in 2017 aboard the Boeing CST-100 and SpaceX Crew Dragon. 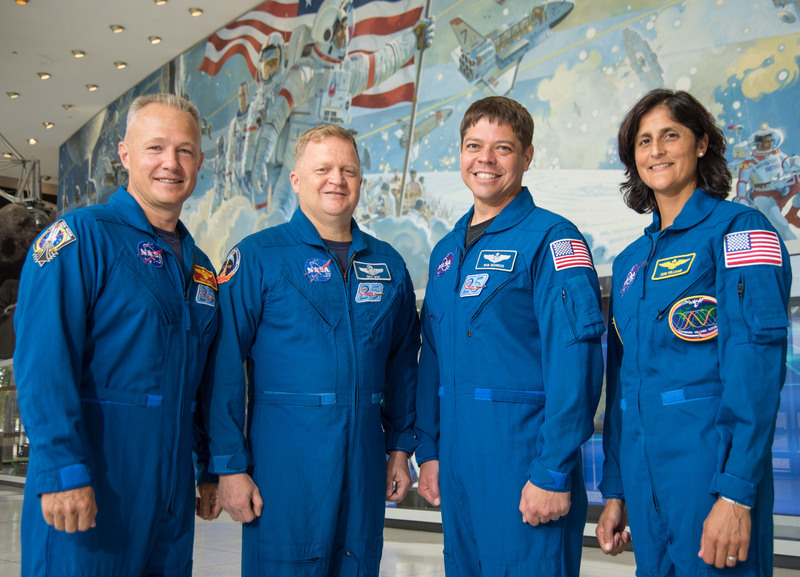 Greg Hurley, Eric Boe, Bob Behnken, and Suni Williams have been selected to be the first astronauts to board those spacecraft. “What comes with our assignment is a fair amount of responsibility because there will be a legacy of astronauts for years and years to come who will have to live with the decisions that we in the agency are making with Boeing and SpaceX now,” said Bob Behnken of he and his fellow Commercial Crew astronauts.